If you’ve been following along, I’ve just started on my tour of Myanmar with Abercrombie & Kent. Sanda, our guide, is the heartbeat of our trip. 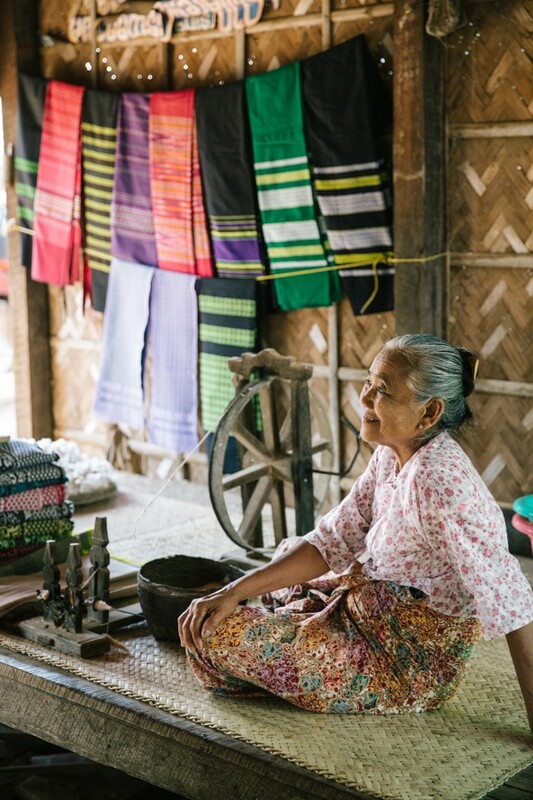 Effortlessly accommodating our dietary requirements and comfort, engaging us with her incredible knowledge of Myanmar, it’s sights and it’s history. 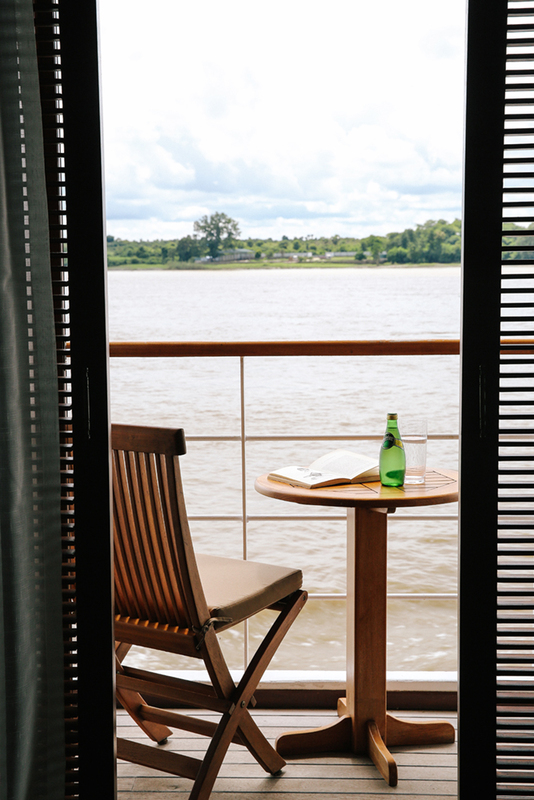 Picking up where I left off, our group has just hopped on board Sanctuary Ananda to cruise up the Irrawaddy River. Cruising along the river is very peaceful. 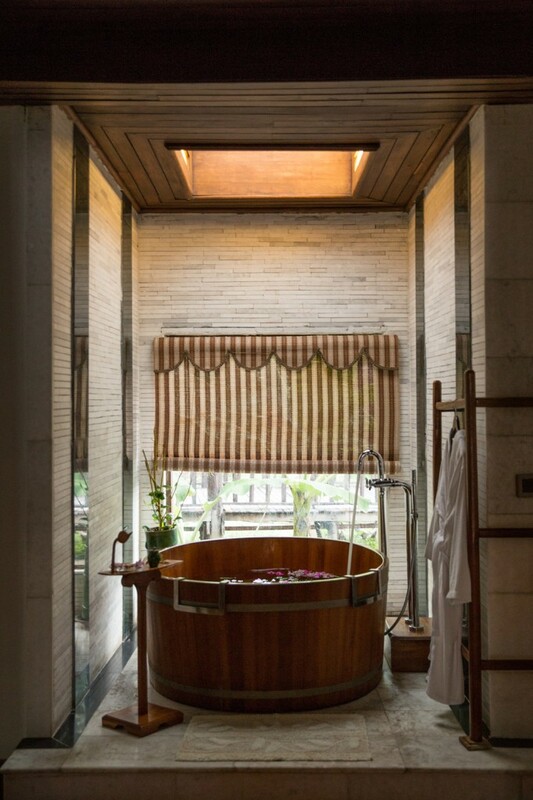 Our rooms are generous in size and come with balconies to relax on during the afternoons. The food is excellent with the chef offering both Burmese and Western options and even offers cooking demonstrations. There’s a full day cruising and you can spend it on the top deck in the plunge pool, sunbaking, in the library or in the spa. 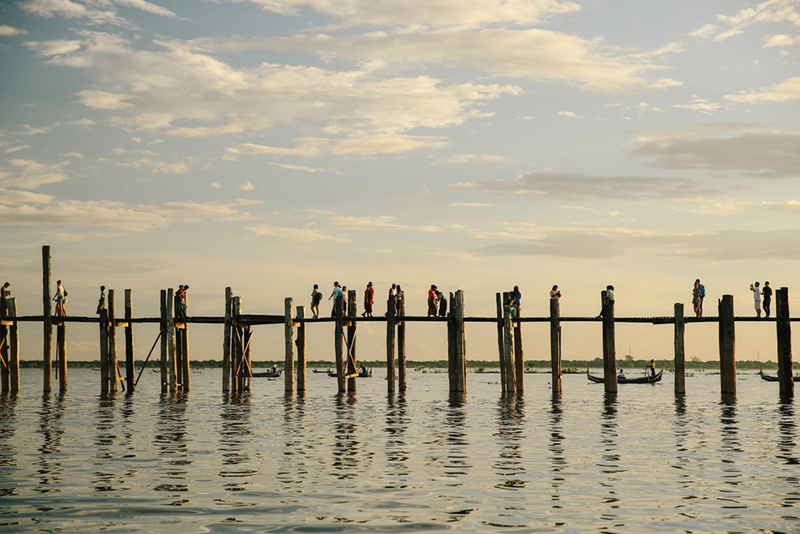 At night, the boat comes in to port and we visit the U-Bein Bridge – said to be the oldest and longest wooden bridge in the world. We all take a boat ride around the bridge at sunset, which is quite spectacular and Sanda surprises us with Champagne. On our last morning we disembark and head in to Mandalay, visiting a gold workshop, where men beat gold by hand in to gold leaf. 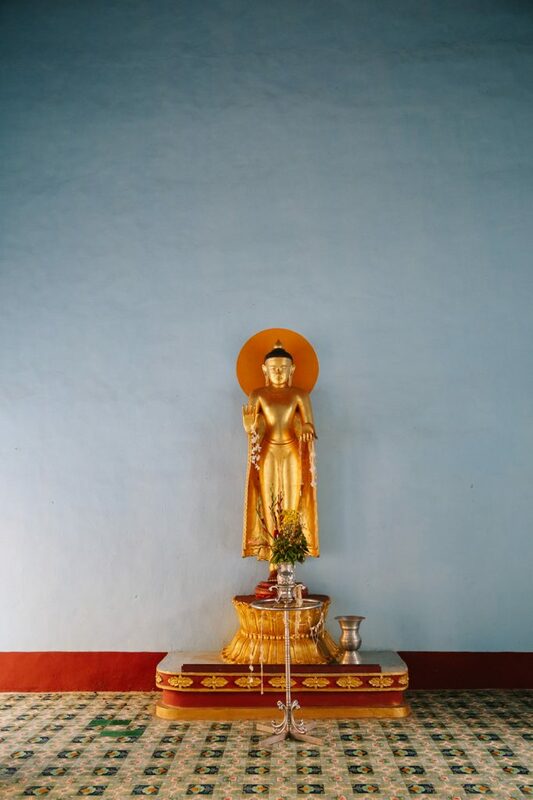 This gold is then sold to the temples and pagodas for decoration and restoration of the Buddha. 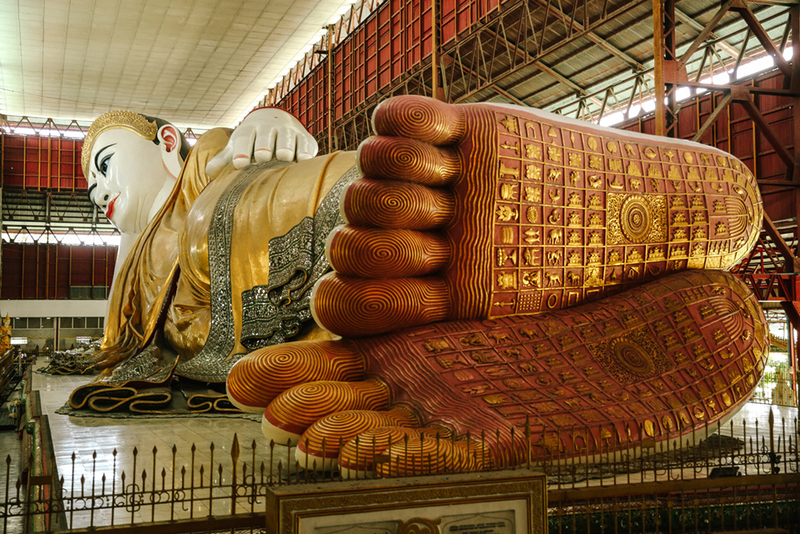 Another highlight in Mandalay is a visit to the Kuthadow Pagoda, otherwise known as the Worlds Biggest Book. 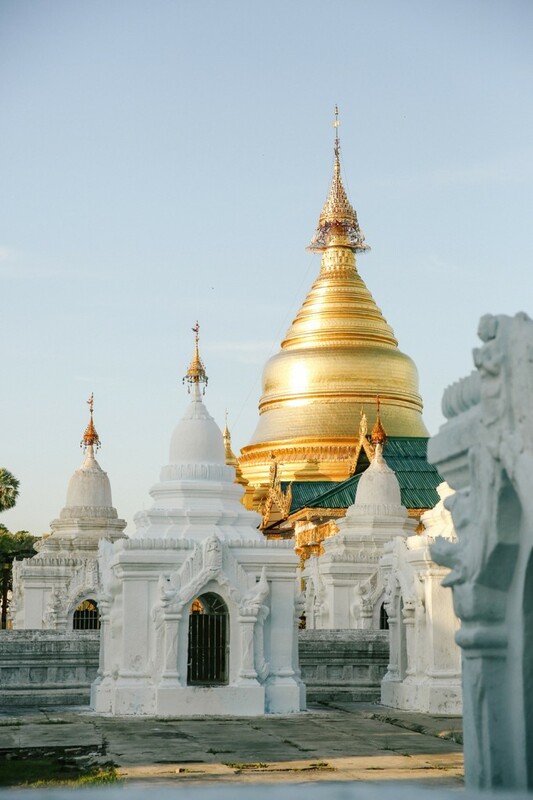 Comprised of over 700 marble slabs of Buddhist teachings, they are housed inside white temples and it’s one of Myanmar’s most beautiful sites. 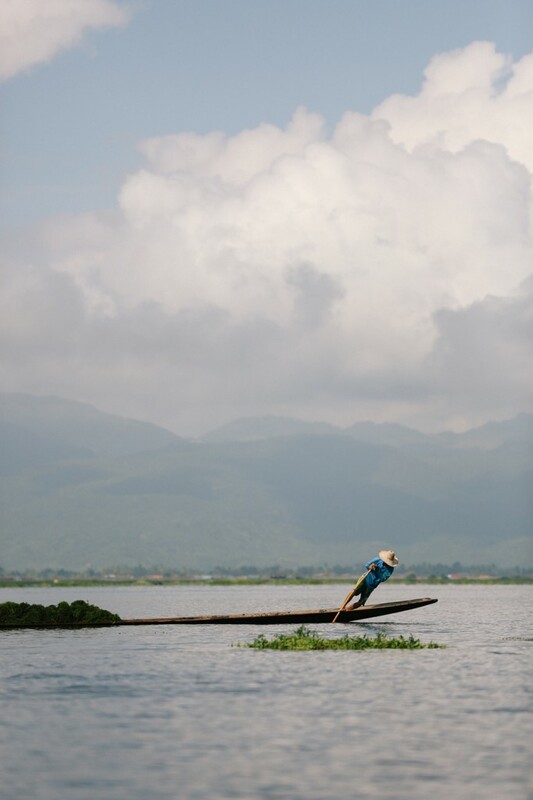 Our group makes its way to Inle Lake, a 44 square mile freshwater lake in the Shan State. 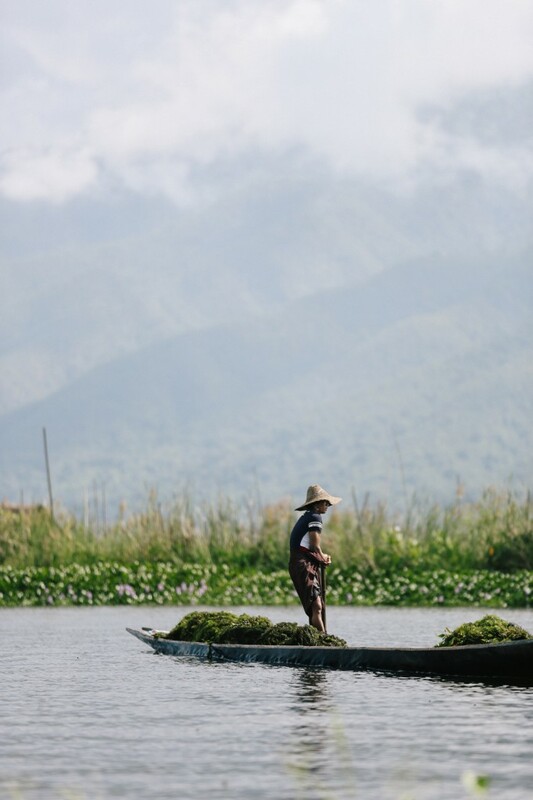 Over 70,000 people live on the lake boarders, in villages comprising of stilted houses. 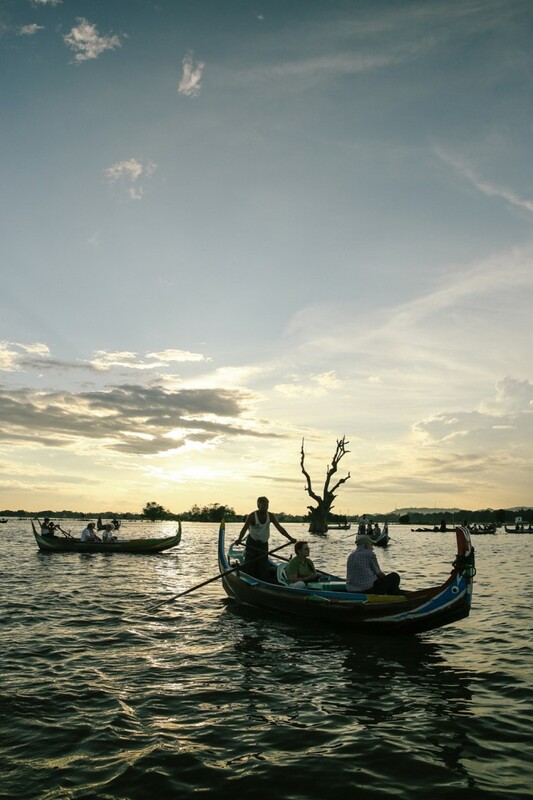 It’s a unique way of life, with boat as the only means of transportation. We stayed at the Aureum Palace, which is a stunning resort made up of overwater villas that have views to the other side of lake. It serves as a great base for day trips to nearby villages where we witness the local thriving businesses of fishing, cigar making and the rare art of lotus weaving. 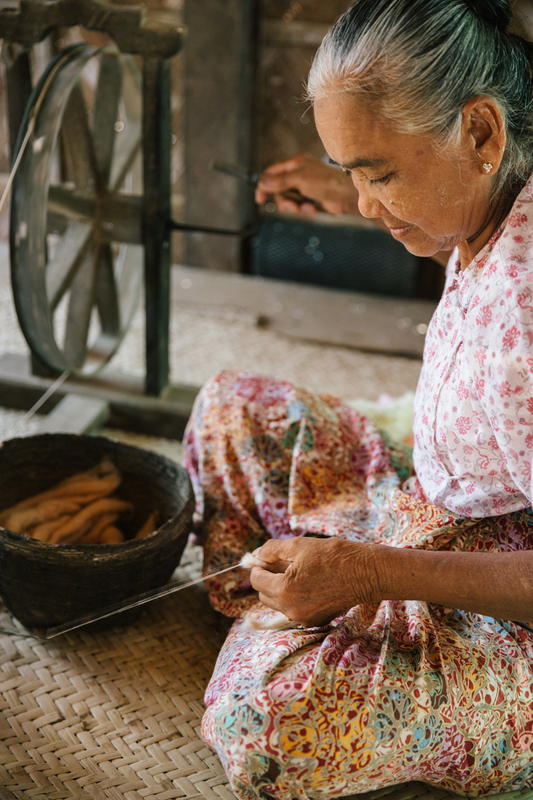 Lotus fabric is used by high end designers such a Lora Piano and is a painstakingly slow process of hand rolling fibre out of the lotus flower stalk. The result is a beautiful, linen-like fabric that keeps you cool in the summer and warm in the winter. Flying out from Inle Lake, we come back to Yangon and enjoy our final evening with a walk around. 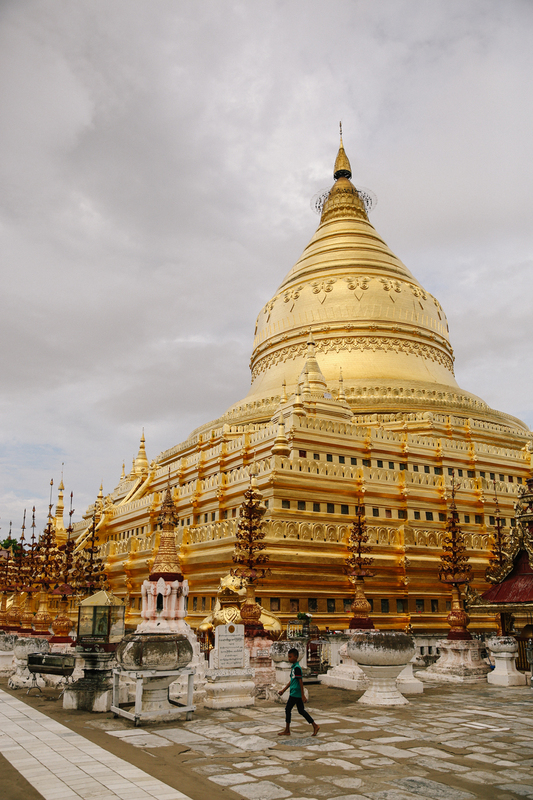 It is the most sacred of Pagoda’s in Myanmar for the Buddhist people and it is one of the largest, gilded in gold and sitting over 99 metres tall. Sanda surprises us again, this time with reserving 1000 candles around the base of the Pagoda for us to light. It’s an incredibly spiritual time and quite magical to see our candles flickering once they are all lit. It signifies the end of our journey and our tight-knit group is sad to see it end. On the final morning we say our goodbyes. 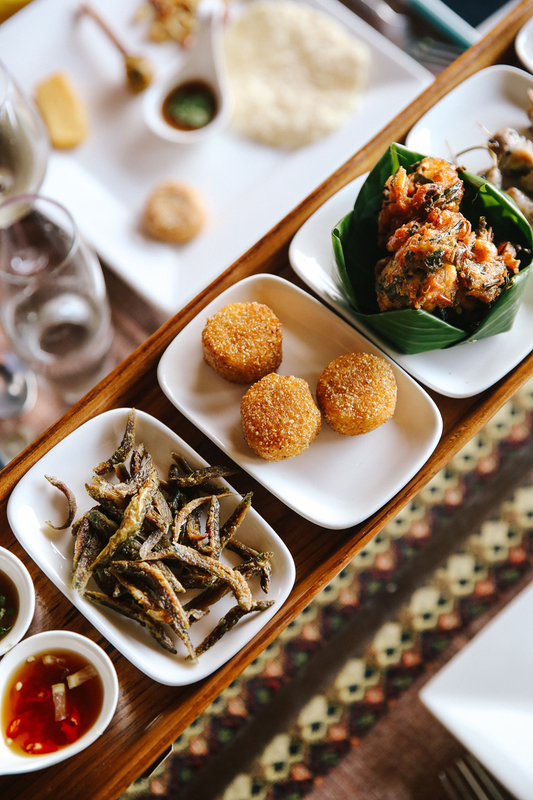 Sanda has gone above and beyond to ensure we have had an immersive experience in Myanmar, whilst also catering to our comfort. I wouldn’t have explored the country any other way. Interested in learning more about Rhiannon’s journey? 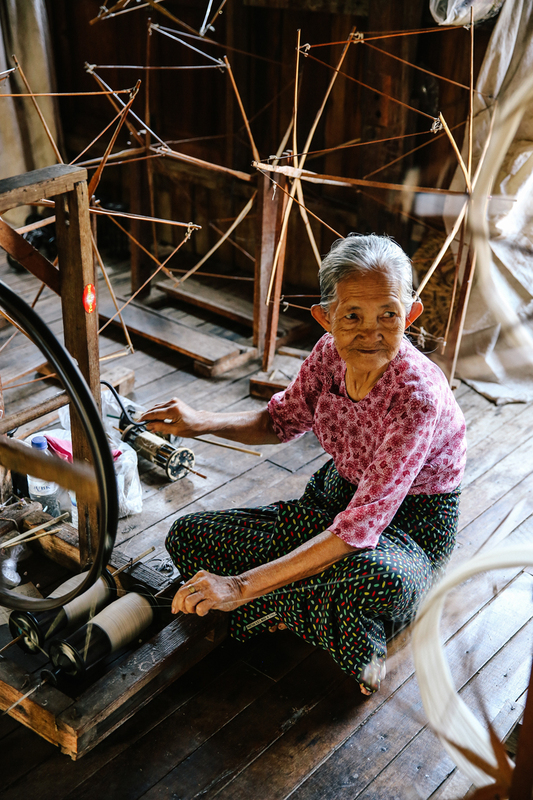 Read more about it on AFAR.com, the USTOA blog, and check out Abercrombie & Kent’s Myanmar and The Irrawaddy. Australian photographer Rhiannon has a curated aesthetic for capturing design, food, and lifestyle. Her work has taken her around the world, with assignments in Sri Lanka, the U.S., New Zealand, and South America. Her popular blog, dedicated to experiential luxury resorts and lodges, is regularly updated with Rhiannon’s point of view on fascinating destinations. 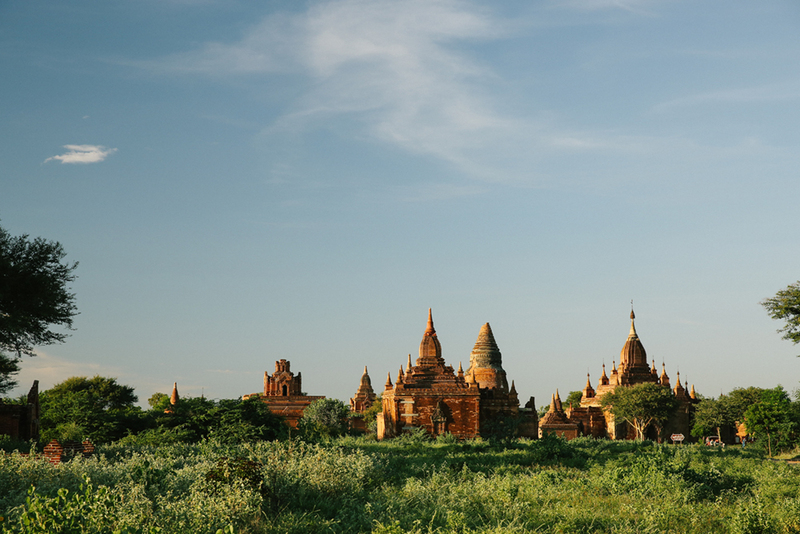 Myanmar (Burma) is a destination that has often been forgotten to the rest of the world. It’s slowly been putting itself on the map for travelers who want to get off-grid and is one of the few countries left that offer truly authentic and mostly tourist-free experience. Not to be ventured in to lightly, it is a country that requires expert local knowledge and planning. 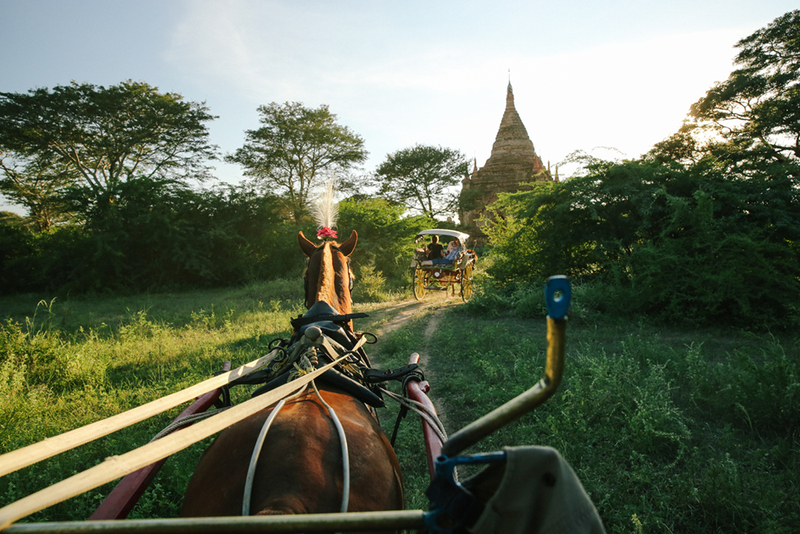 Forget public transport, or asking a local for directions; Myanmar is a country that doesn’t see a lot of tourism and the best way to visit is by booking with a tour company that has complete understanding and connections with the local people. 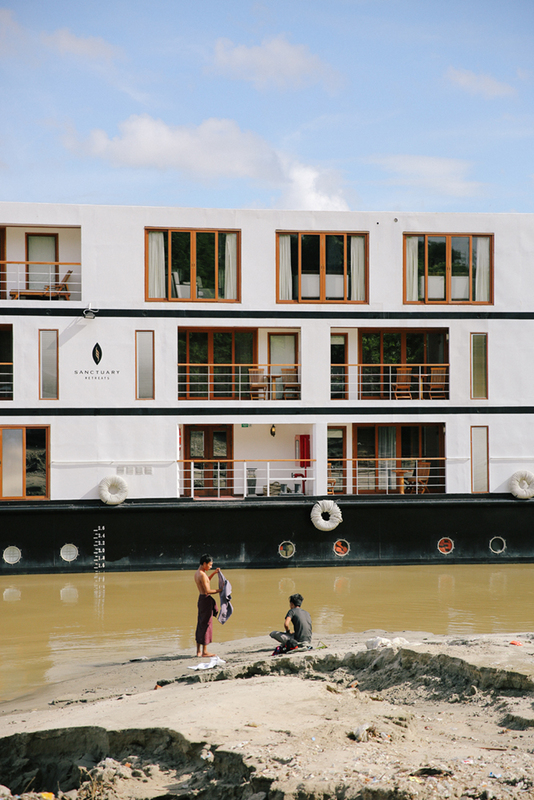 I chose Abercrombie & Kent’s “Myanmar and The Irrawaddy” tour for my visit as it encompassed a mix of luxury accommodation, a river cruise, local experiences and sightseeing. This ten day itinerary started in Yangon, with an Abercrombie & Kent representative meeting me at the airport arrivals gate and whisking me to the comforts of the Sule Shangri-La Hotel to rest before meeting my group and commencing my tour the following day. Our journey together went a little like this. Following breakfast in the Sule Shangri-La’s Horizon Club (an exclusive area for premium rooms), our group meets for the first time and we are introduced to Sanda, who is one of Myanmar’s most sought after guides. Born and raised in Yangon, she obtained a bachelor degree in Chemistry before following her passion in to the travel industry. 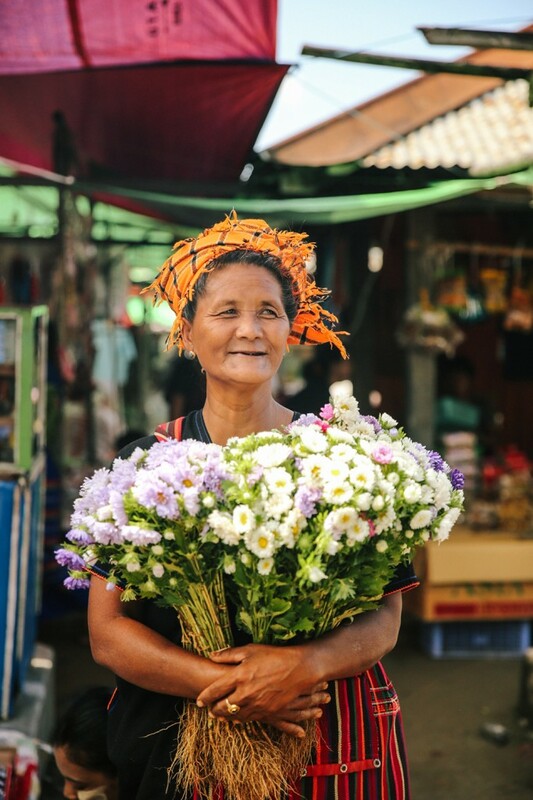 She instantly makes our small group of five feel like family and soon we were on our way to the Reclining Buddha at Chauk Htat Gyi Pagoda, a 213-foot-long statue with an expressive enamel face and huge feet. Lunch is at a local restaurant where we are treated to a traditional tea-house menu, consisting of deep fried snacks, roti and curry. 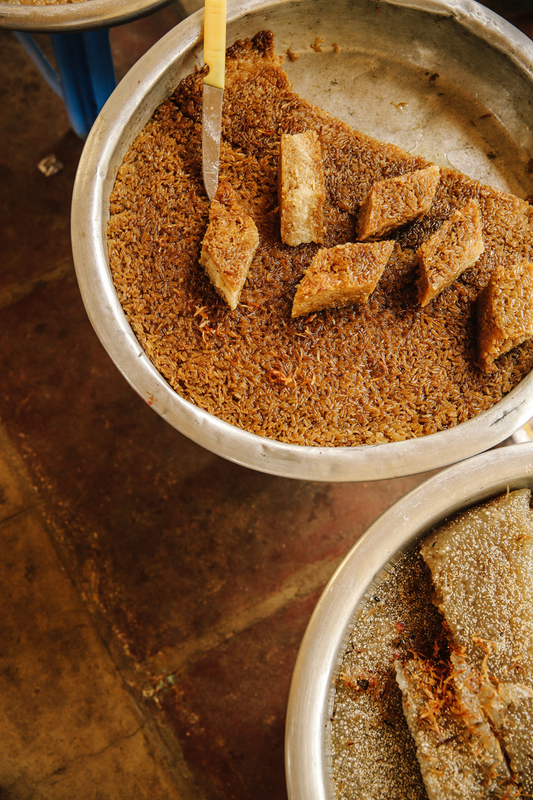 Here we discover that Burmese food is much more subtle in flavor than its neighbor Thailand. In the afternoon we meet with a local astrologer who delves into the future decisions in our lives. Astrology plays an important part of life to the Burmese and influences their decisions on all day to day matters such as marriage, religion, prayer and even diet. As the sun goes down, our group makes its way to Le Planteur; one of Myanmar’s finest restaurants serving up Indochine-style cuisine, overlooking the water. It’s a magical evening and sets the tone for the trip. 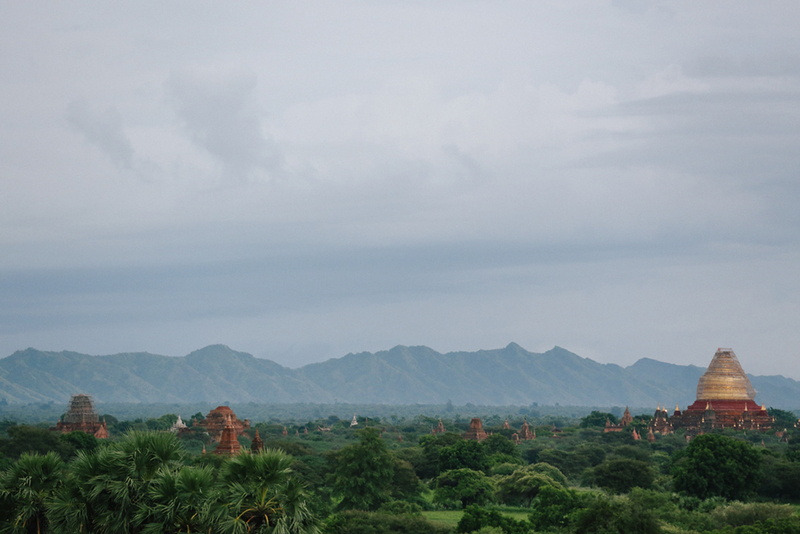 A short flight and we’re in Bagan, a city with over 2000 Buddhist Pagodas and Temples. 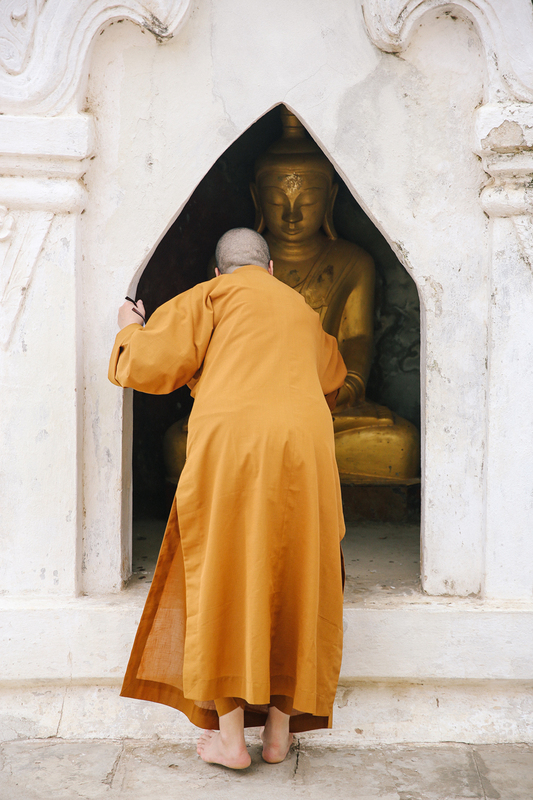 Buddhism is a way of life for the Burmese and Bagan is an incredibly spiritual city. Here, our group visits a small village and we are able to interact with the local people. 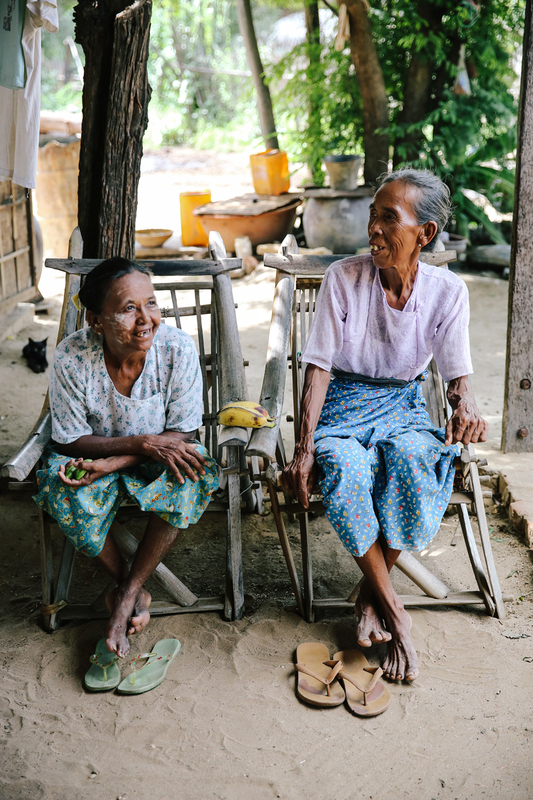 It’s our first time being able to converse with the people of Myanmar (through our guide Sanda), and they’re friendly and welcoming to our curiosity. We checked-in to the Aureum Palace Resort, a five star luxury hotel that boasts an infinity pool overlooking a vista of pagodas. It’s the only hotel in the temple region and is simply stunning. 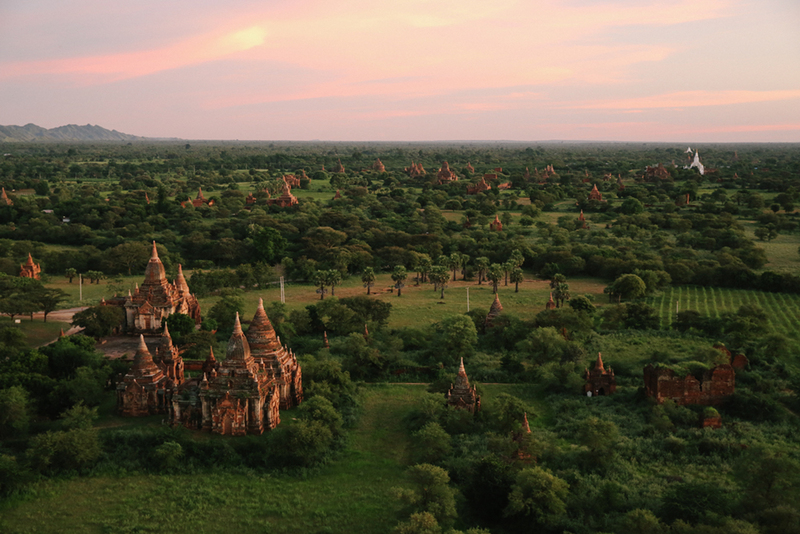 Weather permitting, guests are can take a hot air balloon ride over Bagan. Unfortunately during my trip we didn’t get the right wind to permit a ride so we visited the viewing tower at our hotel at sunset. 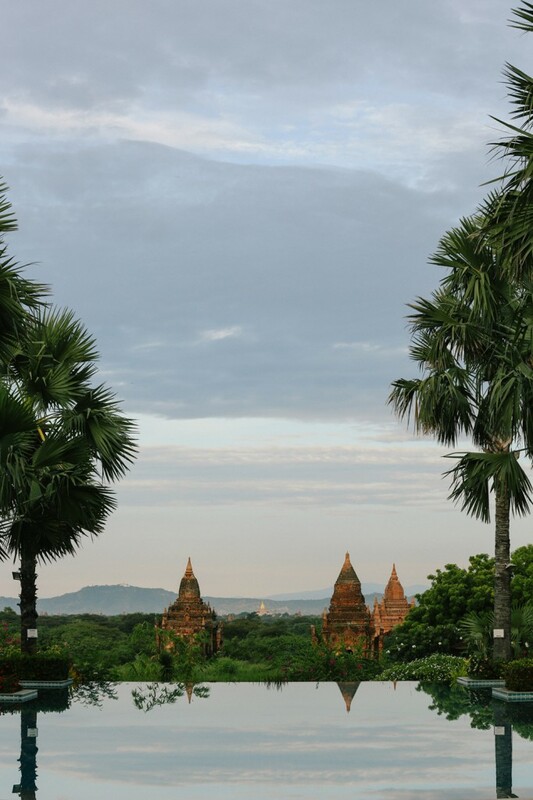 It’s a spectacular view, over a seemingly endless landscape of pagodas. 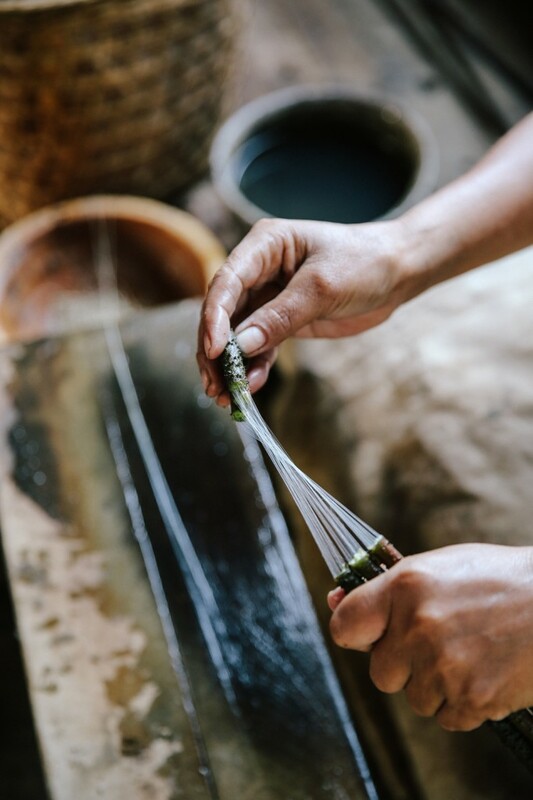 Another highlight of this region is a visit to a lacquer workshop (the same one Barack Obaa visited on his trip to Myanmar), which makes by hand everything from teacups to chests of drawers and is a great place to stock up on unique souvenirs. 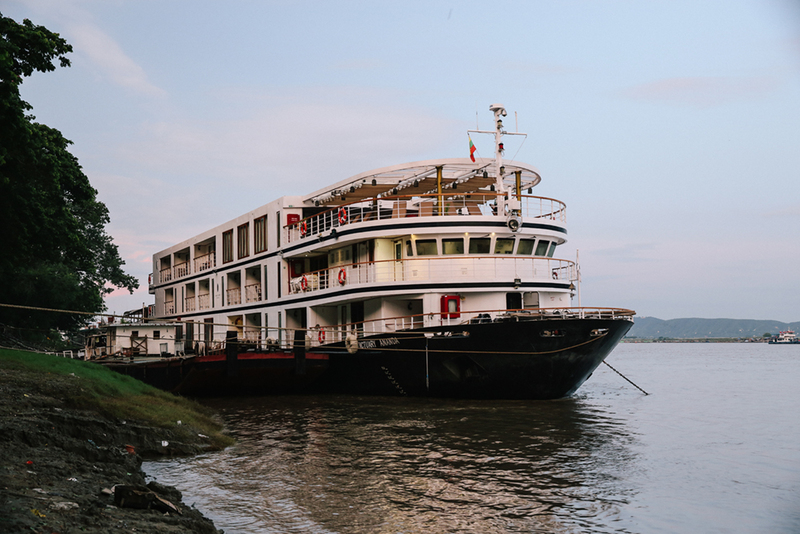 On the last evening we board Sanctuary Ananda, a small luxury boat, which takes us on to the next part of our journey: The Irrawaddy River. Check back soon for the second part of this blog post on my Abercrombie & Kent tour in Myanmar. Interested in learning more about Rhiannon’s journey? 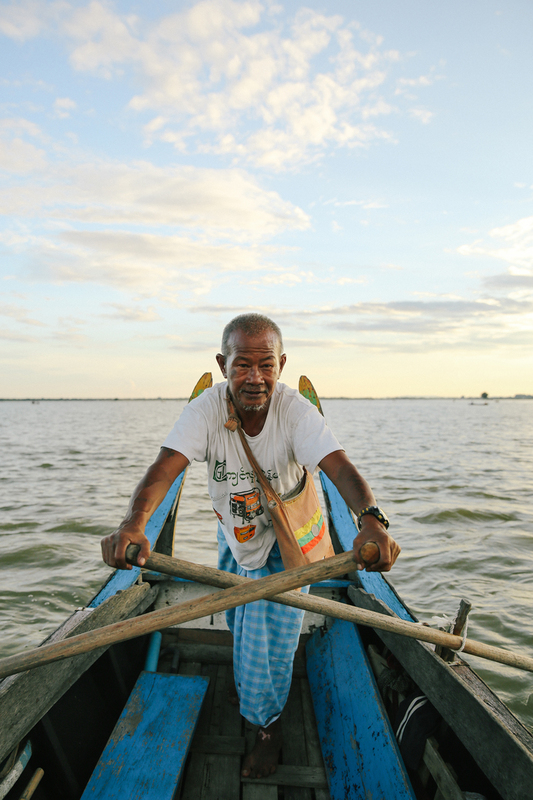 Read more about it on AFAR.com and check out Abercrombie & Kent’s Myanmar and The Irrawaddy.